As part of an international week of action targeting Hewlett Packard, pro-Palestine activists today took the “Stop HP” message to customers and staff at the Currys PC World megastore in Hove. 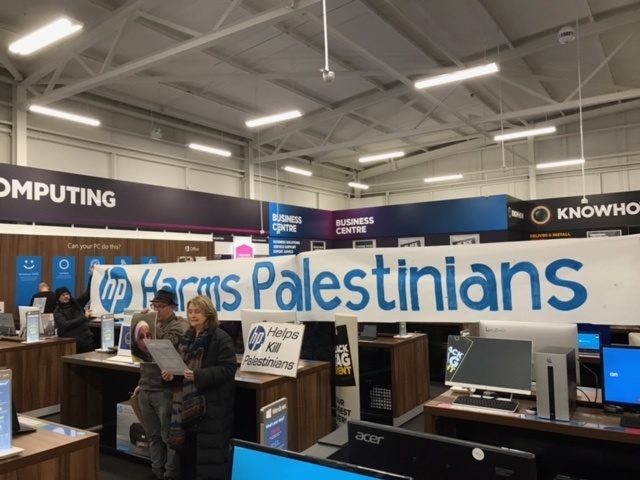 We were calling on Currys PC World to stop stocking HP products, and we were calling on customers to sign the pledge to boycott HP. This week, the same message will be conveyed in over 100 towns and cities worldwide, including 30+ towns and cities in the UK. For more information visit the StopHP website. Hewlett Packard doesn’t just make printers and laptops. HP is also complicit in Israel’s brutal occupation of Palestinian land and Israel’s grave breaches of international law. 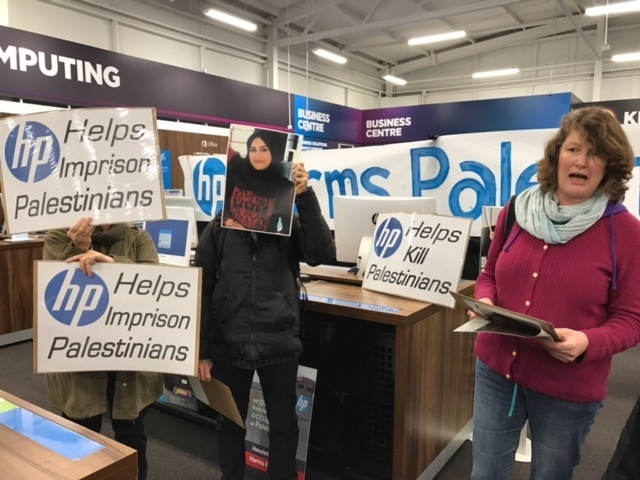 HP provides Israel with specialised technologies which are integral to Israel’s system of oppression of the Palestinian people. For more information visit the StopHP website. 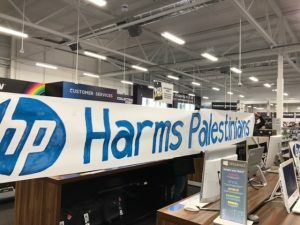 HP profits from the discrimination and oppression of Palestinians in the occupied West Bank and within Israel. 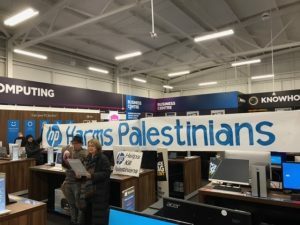 So together with people around the world we are campaigning to end HP’s involvement in Israel’s oppression.